The original meaning of the word catechist is "master" or that "echoes" the word of God. However, a catechist is more than a teacher who has knowledge of the facts of the Catholic tradition and teachings. A catechist is a "minister" of the church, someone who is commissioned by the community to help spread the faith to children of the parish. A catechist is also a "proclamation" of the Good News of Christ, who assumes that he / she really believes in Christ and therefore teaches with joy and enthusiasm. A catechist is a "mentor", showing children with their own example how to live as a Christian in the celebration of the sacraments, and how to live as Christians in the midst of the frequent conflicts in social values. Every year we have over 200 people from the parish to transmit the faith to our children, youth, young adults and adults in small groups are so effective at St. Margaret Mary Alacoque Parish. Previous experience is not necessary. Maybe you do not feel that their faith is strong or deep enough. That's fine. Again and again, new catechists marvel at all that the teaching of the faith to children has strengthened their faith. Maybe you're not intimidated by what to say or saver how to teach a group of children who know nothing about. Do not worry, we will guide you and you have a wonderful and easy to use textbook and lesson plans for use, with many hints and tips for the operation of each class. There are many resources in the Office of Religious Education at their disposal. Many new catechists teach sign up for a friend. In fact we recommend team teaching, as two pairs of hands are always better than one, especially with a group of children working in an office or divided into small discussion groups. And when one of you can not go to class, there is always another who can be there. What can I expect if I sign Up? Come meet Joe Voigt, Director of Faith Formation and Youth Ministry. He will introduce you to our program and help you get started. 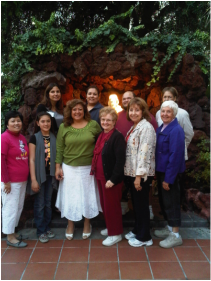 All new catechists attend orientation sessions just before classes begin in the fall. You will receive a teacher guide to the plans of the textbooks or curriculum for which registration program and a program suggested by the chapter to cover each of the classes during the year. Sometimes, the catechists in a particular grade meet and plan their lessons together. The Office of Religious Education has numerous resources for art projects, ideas for games, stories, prayer books and audiovisual materials to support their lesson plans. A number of catechists who have several years of teaching experience, are more than happy to share tips and advice. Like anything else, once they started haiga, you will get better handling, and learn what works and what does not for your particular class. Most importantly, try to make class time to prepare ahead of time, about two hours during the week before the class would be good. You should plan to arrive about 30 minutes early to prepare the classroom, call upon the Holy Spirit as a guide, and smile. Time passes very quickly and be amazed at the interaction of children engaging with the material you submit. And remember: the objective is not possible to cover all the material for children to pass an examination, is to give kids some time-share in faith and prayer time with Jesus. You are not responsible for the faith of these children - you are only offering their example and time to learn about Christ with them.